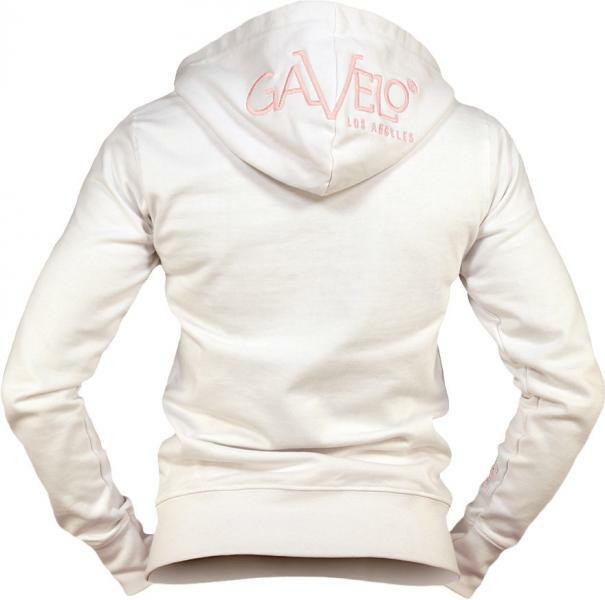 Gavelo Victory Hood, Zipped Hoodie - simply a winner! Keep warm and look hot. 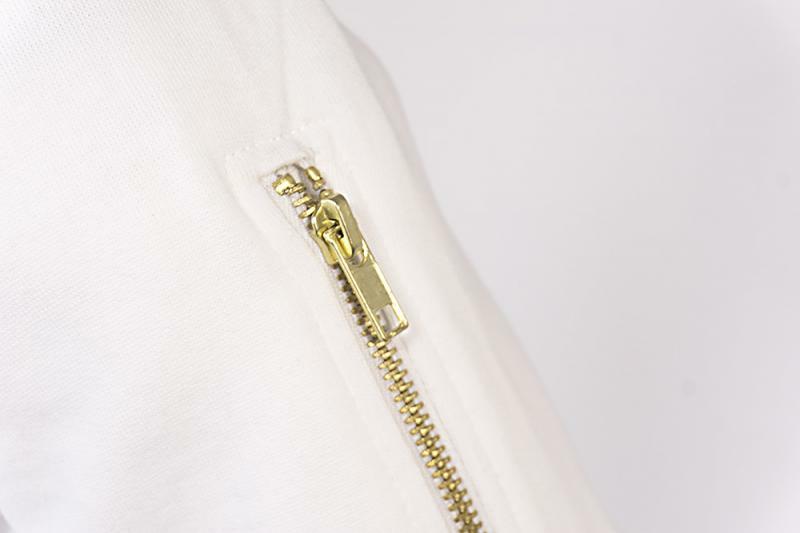 Made from 100% organic cotton, with superb fit and cool details - it might just be the most comfy thing you will ever wear. 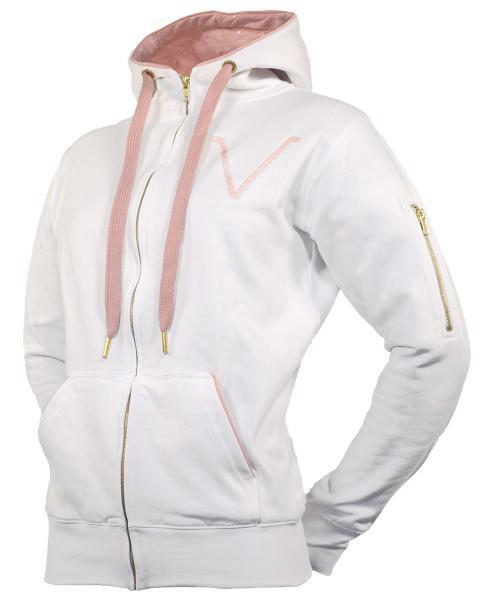 White base, with pink embroidery on arm, chest and hood. 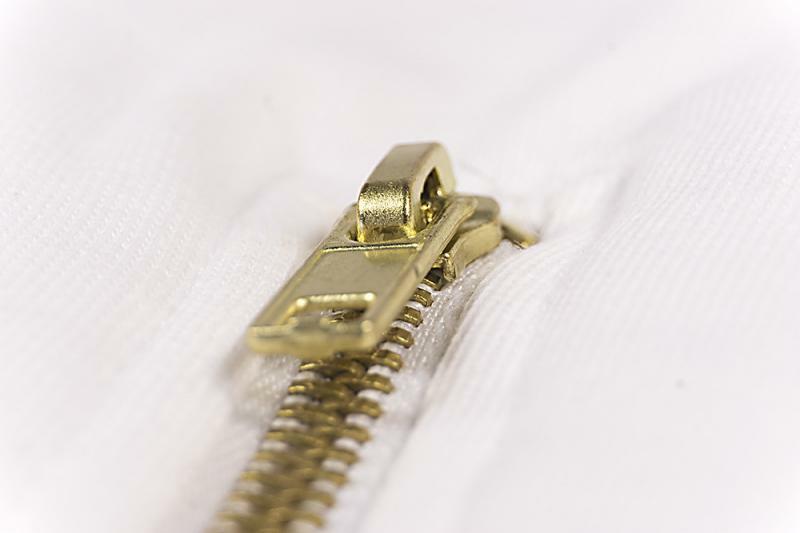 Pocket with zipper on left arm. V for Victory on left side chest, Gavelo logo centered on the hood and on the right lower arm. 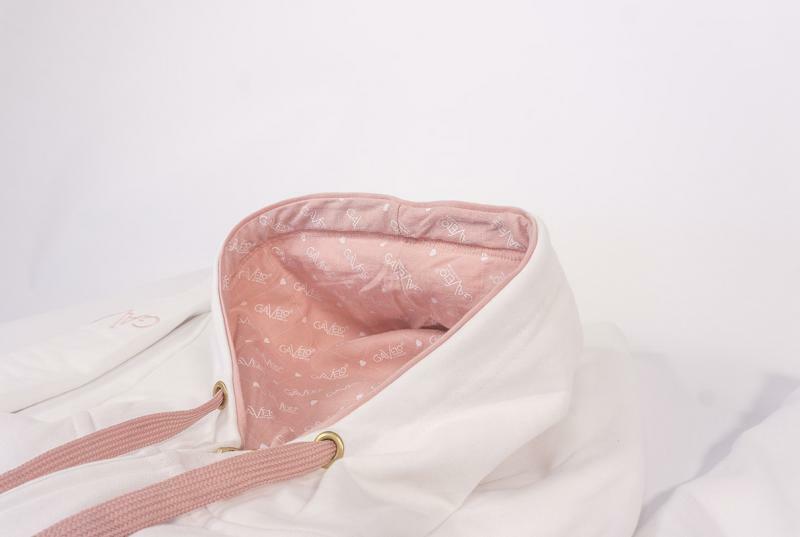 Pink/white Gavelo pattern inside the hood. 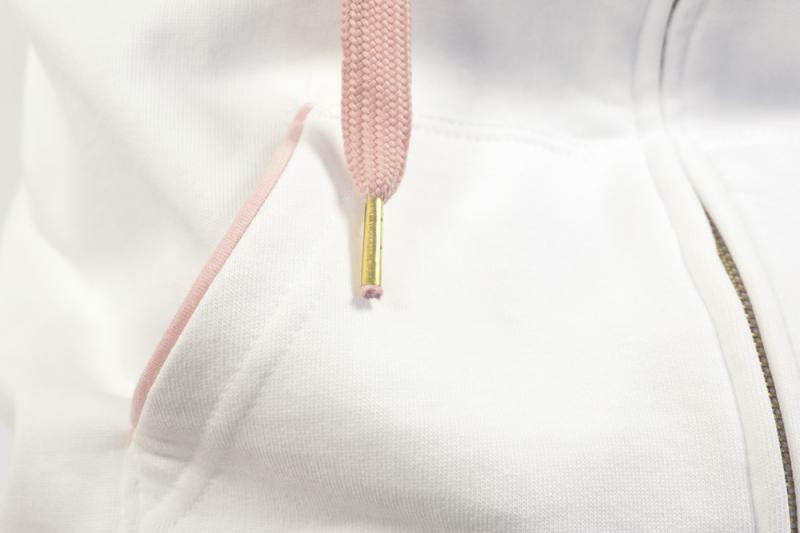 Victory Hoodie is made with love and care for both you and our planet. What’s not to like? 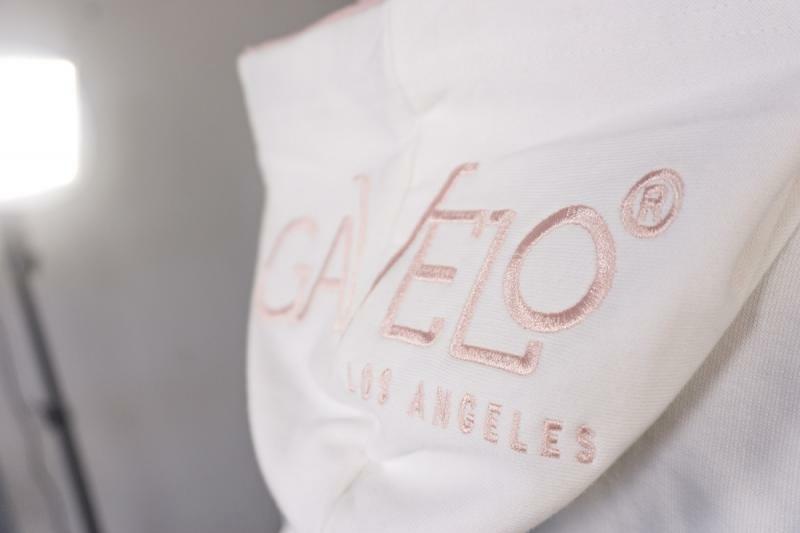 Paying some extra attention to how you wash your Gavelo clothes will not only prolong their life, but also help minimize the environmental impact and save our natural resources.